Long-time NFL standouts Mike Rucker, Kyle Larson and Danny Woodhead headline a list of six players, including four Huskers, who will be inducted into the Nebraska Football Hall of Fame in 2018. This year’s Nebraska Football Hall of Fame class will celebrate with an induction dinner on the UNL campus on Friday, September 14. The class will be introduced prior to Nebraska’s football game with Troy at Memorial Stadium on Saturday, September 15. Rucker, a major contributor on Nebraska’s 1995 and 1997 national championship teams, went on to be an All-Pro selection in his nine-year career as a starter at defensive end with the Carolina Panthers. Rucker recorded 17 sacks and 40 tackles for loss during his career as a Blackshirt, before notching 55.5 sacks among his 421 career tackles in the NFL. Larson, one of the top punters in Nebraska football history, claimed first-team All-America honors for the Big Red as a senior in 2003. A three-time All-Big 12 selection, Larson was one of three finalists for the Ray Guy Award in 2003. Larson, whose 195 punts are a Nebraska record, went on to a five-year career as an NFL starter with the Cincinnati Bengals. Joining Rucker and Larson in the group of four Husker Hall-of-Famers are offensive linemen Dan Schmidt and Bob Sledge. Schmidt was an honorable-mention All-American and an All-Big Eight pick at left guard for the Huskers as a senior in 1975. Sledge was a first-team All-Big Eight selection as an offensive tackle for the Huskers in 1988, helping Nebraska to an NCAA rushing title and a conference title. Chadron State greats Danny Woodhead and Casey Beran are also in the 2018 induction class. 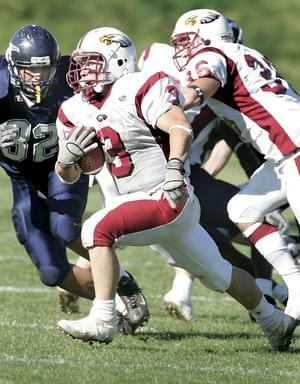 Woodhead was a two-time winner of the Harlon Hill Trophy (2006, 2007) as the nation’s top player in NCAA Division II and a two-time first-team CoSIDA Academic All-American during his career at Chadron State. He went on to a nine-year NFL career as a running back with the Jets, Patriots, Chargers and Ravens. He received an automatic selection into the Nebraska Football Hall of Fame in 2008, but will be formally inducted this fall. Beran was the first Chadron State Eagle in history to earn both All-America and CoSIDA Academic All-America honors in the same season. The Hall will also recognize Bill and Ruth Scott of Omaha with its Clarence E. Swanson Meritorious Service Award, while Jim and Mary Abel of Lincoln will be honored with the Lyell Bremser Special Merit Awards. The Nebraska Football Hall of Fame is sponsored by the Nebraska Chapter of the National Football Foundation and College Football Hall of Fame. Prior to 2015, players must have been either an All-American or first-team all-conference selection to make the Nebraska Football Hall of Fame ballot. Beginning in 2015, Huskers who earned second-team all-conference honors dating back to the expansion of the Big Eight to the Big 12 (1996) and now the 14-team Big Ten, will be eligible. 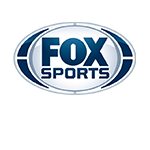 Players are not eligible for the ballot until after a 10-year waiting period from the end of their collegiate careers. Major national award winners earn automatic induction. Active NFL players are not on the ballot.